Hot off a major international tour with stops in Mexico, India, Lollapalooza (Chicago), Boston, Washington, DC, New York City, and Seattle, Mister G returns to the Academy of Music to host his 7th Annual Halloween Fiesta. In September, the Latin GRAMMY winning children’s musician and local hero released new album, Fireflies. 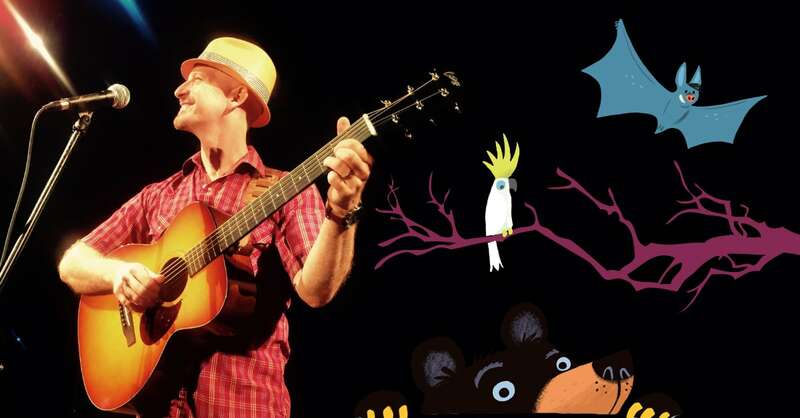 The Fiesta will double as the local Fireflies CD release party and serve as the debut of Mister G’s Musical Postcard Project connecting Valley kids to children around the world through shared movement, art, and song. Youth from the Springfield Community Music School along with audience members will take part in an initial recording which will be shared with children in Haiti, who will then contribute by adding their voices. Come in your finest Halloween attire and have your picture taken with family or friends on our red carpet as you enter the theater.